After talking about it/hinting about its existence for a while, True and Apollo come back to their HS roots and drop a project that’s more diverse, but still lyrically sound. It’s quite possibly their beat work as a duo, if I’m being honest. The phrase “something for everyone” is a bit cliched. However, just because it’s cliched, that doesn’t mean it still can’t apply. This project features hippity-hop boombap, turn up vibes, and a slew of in-between energy that is sure to get listeners engaged and ready for what comes their way. As a full disclosure, True and Apollo are my boys (duh). If I didn’t know them from a hole in the wall, I’d still recommend checking this album out, as neither brings any wackiness to the table on this kne. 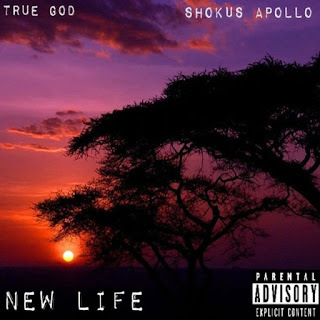 New Life is what you get when you take lyrical hip-hop and spread it across multiple subgenres of rap. It’s beautiful music that makes me nod my head and groove as much as it makes me want to fight the powers that be. It’s as lyrical as it is fun. The spirits of camaraderie and brotherhood never take a backseat to oneupmanship, but both artists reach in their bag and pull out some pretty dope energy and bars to boot. Check out the project below—I mean, it is DAR Season, after all—and remember to support dope music in all its forms.